A TimeBank is a community of people who support each other. When you spend an hour doing something for an individual or group, with TimeBanking, you will earn one TimeBank hour. Then you can use that TimeBank hour to buy one hour of a neighbor’s time or engage in a group activity offered by a neighbor. Take a look at the TimeBank Way cartoon to see some examples! It’s that simple and it has profound effects on our community. You get to know your neighbors and build an old-fashioned extended family of people who take care of each other. How Does the TimeBank Work? With the TimeBank, you will be working with a group of people who are joined together to strengthen the Pontiac Community. 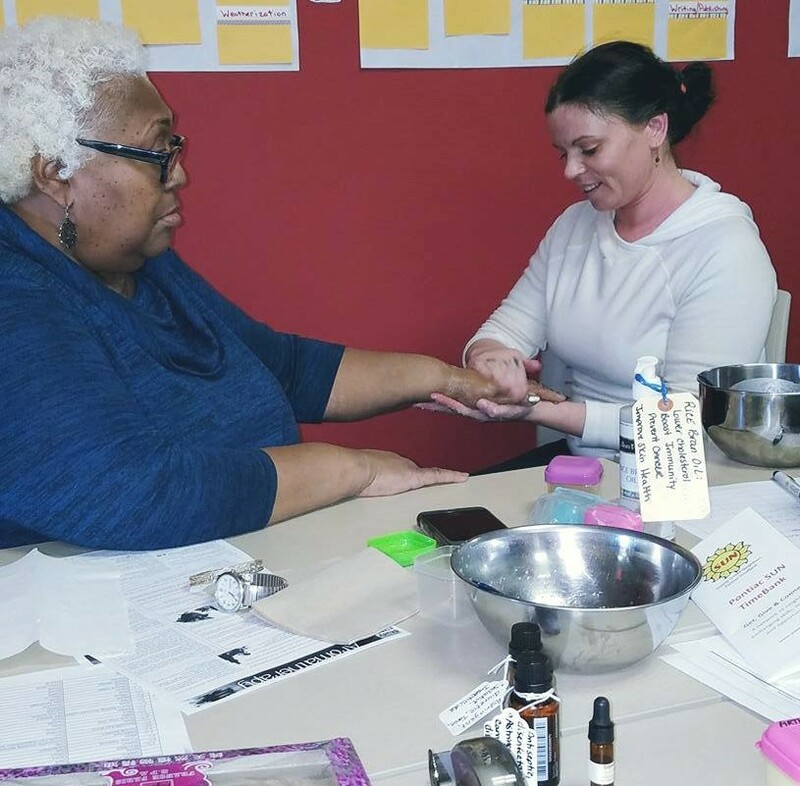 The TimeBank brings out the best in people because it connects community members with needs to untapped resources. In this simple way, the TimeBank changes the community. It may be through a single exchange between two friends. Or it might be by changing the dynamics of the community so that it serves the needs of Pontiac residents! Empty bowls show JUST HOW GOOD the food was that Bill and Diane showed how to make at their cooking class!